So when I was sent this book I didn't know what to expect because I haven't read any other books from the series. This one is the 4th book so I was worried there would be things I wouldn't know. I didn't want to be out of the loop. When reading the book I never felt like things were missing, It's an independent story which was really good. I can imagine reading the previous book would have given me some context and more about Harriet (the main character). Now Harriet is a very typical 'Geek'. A know it all. But the one thing she doesn't know is how to fit in. That's the challenge! She is just starting sixth form and is faced with the idea of new people, new settings and new challenges. 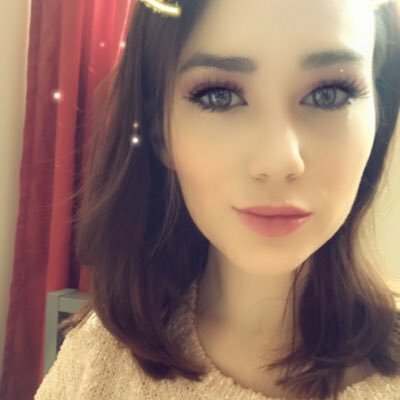 She loves to learn and knows many obscure facts like the fact that toilet roll was invented in China in 600AD but doesn't necessarily have the social skills to match. The book charts her journey not only as a new student but a supermodel which she now is- apparently..
A great thing about the book is that you learn so many things that are surprisingly interesting. She's always reeling off nuggets of randomness. The know it all in me really likes that. I have to be honest. Initially I found that I didn't really click with the character like I usually do. I found the constant fact spouting a little annoying at times. I'd start reading the facts and then get confused and lose the story. On the plus side, as the story went on and I grew along with Harriet I found her innocence and ability to see the best in people really refreshing. I think that as she develops in the story you allow yourself to click with her and notice the similarities between her and yourself. It's also nice to see the supporting roles like her friends and her step mother play a big part in the story. You get to know them as well as Harriet which is nice. The most beautiful thing about any book is the quotes you can pull from it. These quotes really define the character and allow you to gain some depth and also -for me- it gives the character things you can relate to. "Here's the thing about a book: when you pick up a story, you put down your own. For a few precious moments, you become somebody else. Their memories become your memories; your thoughts turn into theirs. Until, page by page, line by line, you disappear completely"
"If with every act of kindness, we shine a little brighter and the darkness gets a little lighter. With every friendship, space gets a little smaller and we get a little closer. Making our own stars so we're never really alone. Because however fast the universe pulls apart- however much distance there is between us- these are the ties that hold us together. The connections that will never break. 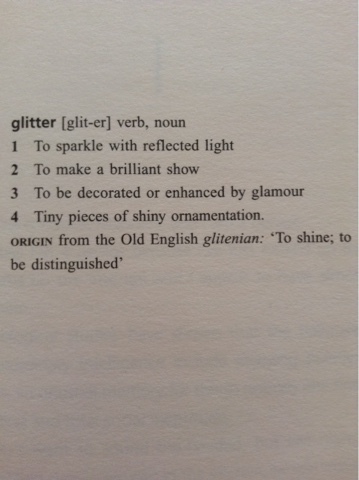 That is how we shine"
If you love a book that has so many laughs. so many 'cringe for the character' moments and yet moments where you're almost brought to tears then this one's for you. Despite the book being for teens/young adults, the book will appeal to anyone who knows what it's like to fight to fit in. To struggle to find who you are. This book is really great for all us misfits. Look out for the next book in the series...coming soon! 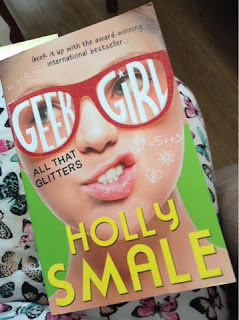 If you want to connect with other fans/keep updated with everything geek girl you can find the social media pages below. 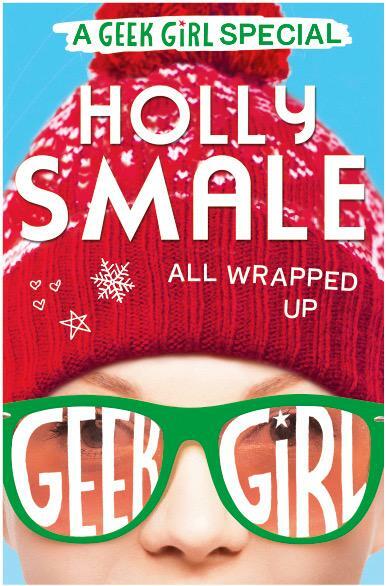 And great news for you Geek Girl fans, in less than a month you can get your hands on Holly Smale's new Christmas special called All Wrapped Up! !